CAR has more similarities than differences when compared to CB policing. Both perform policing on all traffic on either an interface or subinterface. Both can classify traffic to police a subset of traffic as well. Both use the same units when configuring policing parameters—bits per second for the policing rate, bytes for the normal and Be values, with the configured Be value actually representing Bc + Be. CAR differs from CB policing regarding four main features. The most obvious is that CAR uses the rate-limit command, which is not part of the MQC set of commands. CAR also uses only two categories for actions—conform and exceed—as opposed to the three categories (conform, exceed, and violate) supported by CB policing. The most significant difference is that CAR has a feature called cascaded or nested rate-limit commands. Finally, CAR does not use MQC for configuration. Each of these differing features are covered in the example configurations. Most QoS tools that classify packets operate with logic similar to ACLs in that, when a packet is matched, the action(s) related to that matched statement are taken. With all MQC features, such as CB marking, CBWFQ, CB policing, and CB shaping, after a particular class has been matched, the action associated with that class inside the policy map is performed. For instance, all MQC policy maps end with the class-default class, which matches all packets; however, packets may have matched an earlier class, so that a packet would never fall through to the class-default class. • Police all traffic on the interface at 500 kbps; but before sending this traffic on its way . . .
— Police all web traffic at 400 kbps. — Police all VoIP traffic at 200 kbps. In other words, you can police a larger group of traffic, but also prevent one particular subset of that group from taking over all the available bandwidth. In the preceding example (Example 5-12), web traffic can only take 400 kbps of the traffic, but the overall rate can be 500 kbps. This section ends with a configuration example that polices a larger set of traffic, and subsets of the larger set. Table 5-23 lists the configuration commands used with CAR, and Table 5-24 lists the options for the actions to be taken when CAR decides a packet either conforms to or exceeds the traffic contract. Table 5-25 lists the CAR show commands. • All traffic policed at 96 kbps at ingress to the ISP-edge router. • Bc of 1 second's worth of traffic is allowed. • Be of 0.5 second's worth of traffic is allowed. • Traffic that exceeds the contract is discarded. • Traffic that conforms to the contract is forwarded with precedence reset to zero. Figure 5-23 shows the network in which the configuration is applied, and Example 5-13 shows the configuration.
! note: the rate-limit command wraps around to a second line. The show interfaces s1/0.1 rate-limit command lists the operational statistics, including numbers of bytes and packets that conformed and exceeded the contract. Interestingly, the two measured rates (conform and exceed) over time do not total more than the policing rate; it appears that the preemptive discarding of packets with the debt process during Be processing is having some good effect. In this particular network, only three concurrent TCP connections were used to create traffic, so just a few packets lost would reduce the TCP windows, and reduce traffic quickly. Example 5-14 exhibits how to classify traffic with CAR using rate-limit ACLs, and how to use CAR with cascaded rate-limit commands. To classify traffic, CAR requires the use of either a normal ACL, or a rate-limit ACL. A rate-limit ACL can match MPLS Experimental bits, IP precedence, or MAC address. For CAR to match other IP header fields, you must use an IP ACL. In Example 5-14, the CAR configuration meets the requirements of the example for cascaded statements mentioned in the introduction to this section, repeated in the following list. • Police all traffic on the interface at 496 kbps; but before sending this traffic on its way . . .
— Police all web traffic at 400kbps. • Choose Bc and Be so that Bc has 1 second's worth of traffic, and Be provides no additional burst capability over Bc. Example 5-14 shows the configuration. 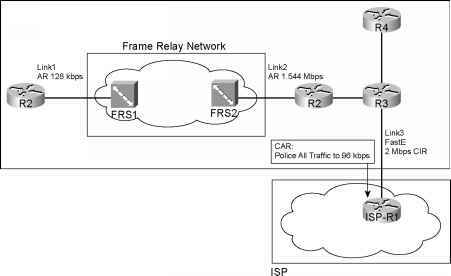 The CAR configuration needs to refer to IP ACLs to classify the traffic, using three different IP ACLs in this case. ACL 101 matches all web traffic, ACL 102 matches all FTP traffic, and ACL 103 matches all VoIP traffic. Under subinterface S1/0.1, four rate-limit commands are used. 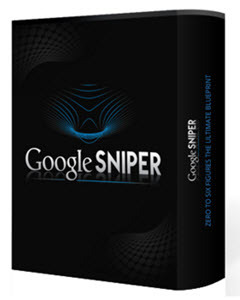 The first sets the rate for all traffic, dropping traffic that exceeds 496 kbps. However, the conform action is listed as "continue". This means that packets conforming to this statement are now compared to the next rate-limit statements, and when matching a statement, some other action is taken. For instance, web traffic matches the second rate-limit command, with a resulting action of either transmit or drop. VoIP traffic is actually compared with the next three rate-limit commands before matching the last rate-limit command. The following list characterizes the types of traffic, and which rate-limit commands they match, in the example. • All traffic matches the first rate-limit command, and is either dropped or passed to the second rate-limit command. 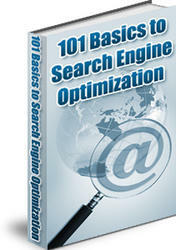 • All web traffic matches the second rate-limit command, and is either transmitted or dropped. • All FTP traffic matches the third rate-limit command, and is either transmitted or dropped. • All VoIP traffic matches the fourth rate-limit command, and is either transmitted or dropped. • All other traffic is transmitted, because it did not match any more rate-limit commands. You also may have noticed that the policing rates used in this example did not exactly match the values in the original problem statement at the beginning of this section. For instance, originally the requirement stated 500 kbps for all traffic; the configuration uses 496 kbps. CAR requires that the policing rate be a multiple of 8000, so the requirements were adjusted accordingly. Table 5-26 summarizes the CAR features, comparing them with CB policing.